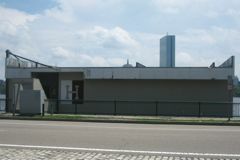 The Harvard Sailing Center is located in the heart of the Metro Boston area. It is on the Lower Basin of the Charles River between the Longfellow and Mass Ave Bridges. The facility includes: a classroom, locker rooms, a shower, and kitchenette with a refrigerator. Parking may be available on Memorial Drive or side streets (Wadsworth St. and Amherst St.). The facilities include 18 Collegiate Flying Juniors, 18 Collegiate 420's, and 4 Lasers that are used for both the camp and the clinics. 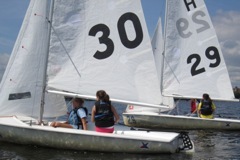 These simple, two-sail boats without trapeze and spinnaker are used throughout the country for teaching kids to sail. They are safe and easily handled by a eleven-year old yet still lively enough to keep collegiate All-Americans interested. Conveniently accessible by public transportation. 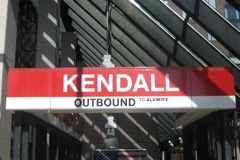 The Kendall T Station on the Red Line is only 0.3 miles away or a 7 minute walk from the sailing academy. After registering, campers must take the swim test at either Blodgett or Malkin Pools during regular swim hours. Please look over the Harvard Recreation Special Hours and Closings calendar for possible pool closings. Blodgett Parking: There is limited parking available on North Harvard Street. More parking is available inside the gates of Harvard's Athletics Complex. You can drive into the complex off North Harvard Street at Gate 8, between the closed end of the stadium and the outdoor track. Drive around the stadium, and park in visitor's spaces outside the outfield wall of the baseball field. Walk past the open end of the stadium and take a left towards the pool. Door to the pool is on the ground level. Malkin Parking: Please give yourself an extra 20 minutes. The streets are confusing and there are many one way streets. If you find that you are already in the vicinity of Harvard Square, it may be best for you to just park your car and walk. Parking is available on the streets. DeWolfe (5th street off Mt. Auburn from JFK St.) and Plympton (4th street off Mt Auburn from JFK St.) Streets are most likely to have spots available.